Many will have come across the name Jim Thompson at some point in their lives, either while browsing silk ties in an airport shop, eating at one of the group’s Thai restaurants or on the very streets of Bangkok. But while the name may ring a bell, the once world-famous persona behind the name – as well as the mystery surrounding Thompson – fades with each passing decade. 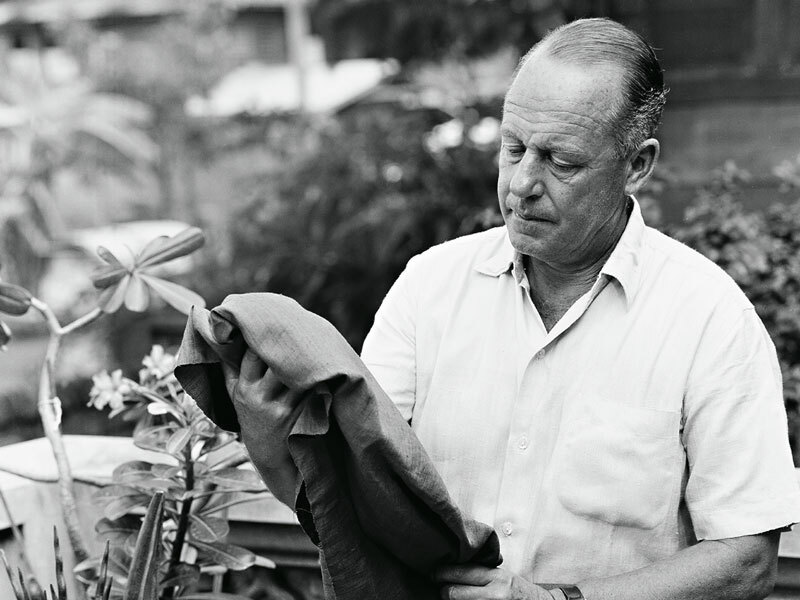 However, the legend of Jim Thompson, born James Harrison Wilson Thompson in 1906, is nothing short of extraordinary, for this American-born businessman almost single-handedly saved Thailand’s now-booming silk industry from extinction. Beyond his exceptional business success, Thompson’s story weaves between the clandestine world of international espionage, high society parties and the dressing of royalty. Having carved a global reputation, and certainly a unique status in Thailand, Thompson’s startling disappearance in 1967 sent shockwaves throughout the globe. Despite one of the biggest manhunts the region had ever seen, Thompson never resurfaced, leaving conspiracy theories to develop and multiply ever since. Thompson grew up as the son of a textile manufacturer in Delaware. Having attended a prestigious boarding school, he went on to the Ivy League Princeton University to study architecture. After graduating, he moved to New York to practise his new profession. His time in the city was spent networking with society friends and indulging in hobbies like hunting; on the surface he led a charmed life, but appearances rarely reflect reality. During the late 1930s, Thompson tried – and failed – three times to pass the exam that would make him a licensed architect. These early failures prompted Thompson to enlist in the Delaware National Guard in 1941, to the surprise of family and friends. From there, he moved to the Office of Strategic Services (OSS), the predecessor of the CIA. The position saw Thompson stationed all around the world, sparking in him a love for travel and far-flung places. After North Africa and Europe, the OSS sent Thompson to Sri Lanka (then Ceylon) in 1945, to join the preparations for invading Thailand. But Japan’s surrender had brought the impending attack to a halt, with Thompson arriving in the country just days before the end of the war. Once there, he fell for the exotic, colourful land. Significantly, he also recognised a unique opportunity to save a dying industry and help thousands of Thais in the process. Having come across the silk weavers of a small Muslim community in the heart of Bangkok, Thompson was spellbound by the resplendent fabric. “It captivated him because he [was] very artisanal and he was also very interested in fashion before the war,” Kurlantzick explained. But by the time he had arrived on the scene, local silk weaving had almost completely died thanks to the advent of cheap, hard-wearing, machine-made silk. “It disturbed me that production of this wonderful material had stopped,” Thompson told Time magazine in 1958. With a new venture to pursue, Thompson left the OSS for New York with some 500 silk samples in hand. He used his personal connections to showcase the striking material to fashion editors, designers and decorators across the city – like Thompson, they were enchanted by the silk’s vibrant colours and homespun quality. Among them was Edna Woolman Chase, the influential editor of Vogue, who introduced Thompson’s collection to leading fashion designers. Chase proved key to the material’s popularity. Thompson returned to Bangkok to start his silk business with just $700. He recruited around 200 local weavers and supplied them with the raw silk and dyes to make finished products using basic domestic looms. Thompson’s brand was born when its first shop opened in Bangkok in 1950. 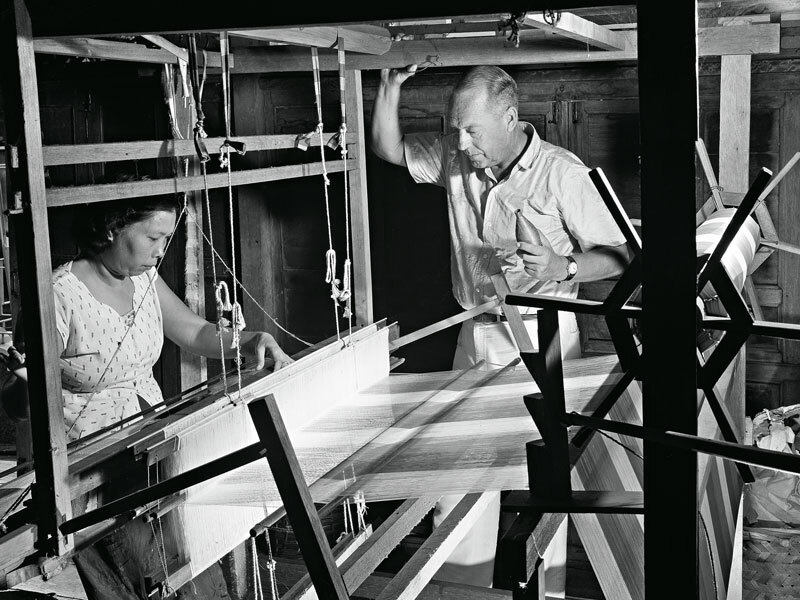 With the popularity of Thai silk soaring, Thompson’s company quickly expanded and became incorporated in 1951 when it received a $25,000 injection from investors. While the company’s American founder was its biggest shareholder, Thompson went to great efforts to ensure it was a Thai enterprise; of the shares sold, 51 percent went to Thai citizens. Thompson and his silk found further success when the products featured in the wildly successful American film The King and I. Thai royalty soon came calling, with Queen Sirikit capturing headlines while touring the US, dressed in striking Balmain-designed outfits made from Thompson’s silk. By the late 1950s, the Thai Silk Company had more than 2,000 Thai employees, each of whom grew, dyed, spun and weaved silk in the traditional Thai way. Sales climbed from around $36,000 per annum in 1948 to $650,000 by 1957. 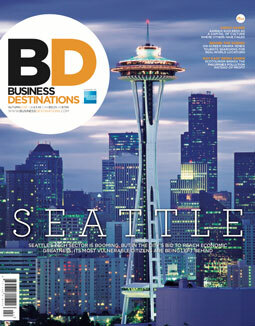 “[Thompson] helped play a central role in making [silk] glamorous again to Thais and also introducing it more to the global market,” Kurlantzick told Business Destinations. His success inspired others to start their own silk companies, with hundreds emerging across the country and providing thousands of jobs. However, the Thai Silk Company remained king; by 1967, it was turning over a whopping $1.5m a year. Thompson’s home cemented his status as one of the most famous Americans living in Asia. The unique housing complex, which Thompson designed himself, featured a different Thai style in each of the six houses. It was in this oasis that Thompson’s passion for Thai art had space to flourish. He filled his home with precious pieces, amassing a collection that was unprecedented in size and value at the time. According to his will, Thompson had planned to leave it all, including the complex itself, to the Siam Society – a royally sanctioned non-governmental organisation – as a gift to his beloved Thailand. But this never came to pass; Thompson’s pride was dealt a blow in 1962 when he was accused of stealing five Buddha heads that were part of his collection. According to Jim Thompson: The Unsolved Mystery, a biography written by William Warren, Thompson wrote to the director general of the country’s fine arts department, insisting that his collection benefitted the nation, and was not “for financial advantages or selfish purposes”. Despite his pleas, a visit from the Thai police saw the pieces taken to Bangkok National Museum. An indignant Thompson promptly changed his will and withdrew his position on the Siam Society’s board. Over the remainder of his known days, Thompson spent his entire fortune on expanding his collection, leaving himself with a meagre $50 by 1967, according to Warren’s book. Having all but bankrupted himself, in 1967 Thompson took a holiday to stay with friends in the Cameron Highlands of Malaysia. On the afternoon of March 26, Thompson went for a walk alone – something he often did. This time, however, he didn’t return. By the time dusk fell and concern duly mounted, the police were called. Given Thompson’s status, the search in the area was unprecedented in its scale. More than 300 police officers and soldiers combed the jungle with tracker dogs in tow. Helicopters soon joined the search, as did some 30 aborigine tribesmen. As time marched on, the methods employed to find Thompson grew all the more peculiar. Local witch doctors, clairvoyants and even Peter Hurkos, a psychic detective who found fame with the Boston Strangler case, all claimed they could find the missing entrepreneur – but none did. Tales of kidnapping and murder proliferated – both Thompson’s inner circle and Malaysian authorities suspected that bandits had abducted the millionaire – but no ransom was ever issued, nor did offers of large rewards prove successful. Speculation thus shifted to political abduction, with Thompson’s former OSS role and enduring friendships with those in the intelligence field fuelling the rumours. New theories continue to surface even today, more than four decades since Thompson was last seen. In October 2017, a documentary produced by Barry Broman, titled Who Killed Jim Thompson?, suggested the legendary businessman was killed by rebels from Malaysia’s Communist Party following his supposed request to meet with the party’s leader – the country’s most wanted man at the time. The film argued that Thompson was not on holiday in the region, but rather on a covert mission that became his last. Since Thompson’s disappearance, the Thai Silk Company has grown to become a global luxury brand. With conclusive evidence yet to surface, the mystery of his disappearance may never be uncovered. Yet the intrigue surrounding his vanishing has only added to the legacy of the Thai silk king.